As mobile usage continues to grow at a record rate, conversion rates are now under scrutiny more than ever. You may think “our website is fully responsive- we’re mobile optimized”. Well think again- as wonderful as mobile responsiveness is, it’s not enough. Consider it more of a technique rather than a solution. Below we’ll discuss 4 easy ways in which you can improve mobile conversion rates. 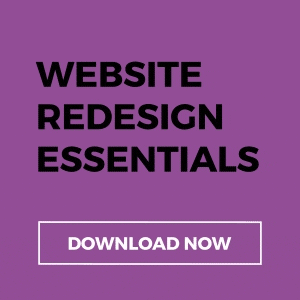 Because responsive sites rearrange full websites to fit on mobile devices, there is too much content which can lead to users becoming distracted and overwhelmed. The solution instead, is a simplified mobile site. Remove any unnecessary content. Mobile users usually have a specific reason to visit your mobile site- they don’t need to see all of your site’s content. For example, ways to contact you, if you stock a certain product, etc. Generally, for a conversion to take place on a mobile device, it will require the user to submit information via a form- whether they’re making a purchase, signing up to a newsletter, requesting a quote or demo, etc. With mobiles being substantially smaller than desktops or tablets, users are forced to switch between keypads because not all characters can fit onto the screen. A feature that can be quite irritating- and one where a surprising number of businesses are guilty of possessing. This can be a thing of the past by improving the forms to automatically give users the correct keypad for each field. i.e. show a number pad when asking for a phone number and an email keypad for their email address. 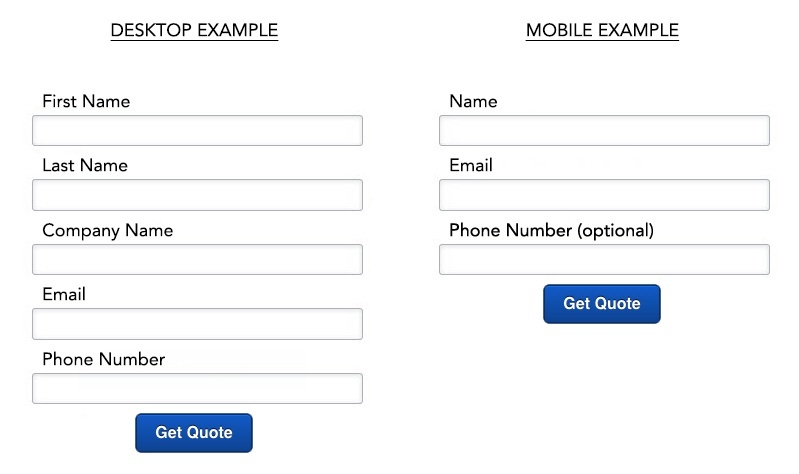 Anther common mistake businesses make is not reducing the number of fields on a mobile form. Users on mobile devices are already less willing to complete forms, therefore by having additional fields, you reduce the potential number of conversions even more. Similar to our example below, consider removing fields and stripping back to the bare essentials. E.g. You could merge ‘first name’ and ‘last name’ into ‘name. The shorter the form, the greater chance of users filling it in, increasing mobile conversion rates. Due to screen size, content on mobile pages will require a lot more scrolling compared to desktop. Including multiple CTAs throughout the content makes it easier for the user and should make for an improved conversion rate. The world of mobile is moving at an unprecedented rate, and users’ expectations are changing just as quick. As mobile usage continues on it’s upward ascent, businesses need to fully optimize landing pages to successfully capture leads and increase conversions if they want to remain relevant in the future.